This Mother’s Day, we encourage you and your mum to get movin’ and be active together! It is recommended that adults (19-64 years) do 150 minutes of moderate-intensity aerobic exercise or 75 minutes of vigorous activity per week. Regular physical activity has been shown to reduce our risk of developing various preventable diseases such as coronary heart disease and type 2 diabetes1. In addition to benefits on our physical health, exercise has also been proven to lower our risks of depression, leading to an improved mental well-being –which is just as important for overall health! Yoga –originating from India, yoga is a practice that focuses on breathing, strength and flexibility. Studies have shown that regular yoga exercises can relieve tension and stress2,3. Nowadays there are so many different forms of yoga including partner yoga, which is perfect for you and your mum to do together! Don’t worry if you have never done yoga before. At the end of the day it’s about moving, having fun and creating shared moments with your mother. Some studios offer free trial classes so have a look at your local studio and take advantage of that if you have the opportunity to do so. High-Intensity Interval Training (HIIT) –if you and your mum already exercise regularly or if you wanted to challenge yourselves more, what better way to start the morning but to smash a HIIT workout together? HIIT is a form of exercise that alternates between short bursts of high-intensity exercises and short recovery periods4. These high-intensity exercises will get your heart pumping, sweat dripping and get your feel-good endorphins flowing. There are plenty of free HIIT exercise plans on the internet, including partner HIIT workouts for you and your mum to do together. However, If you prefer to exercise in a bigger group, many fitness centres offer these at a reasonable price so check out your local gym and see what they have to offer! 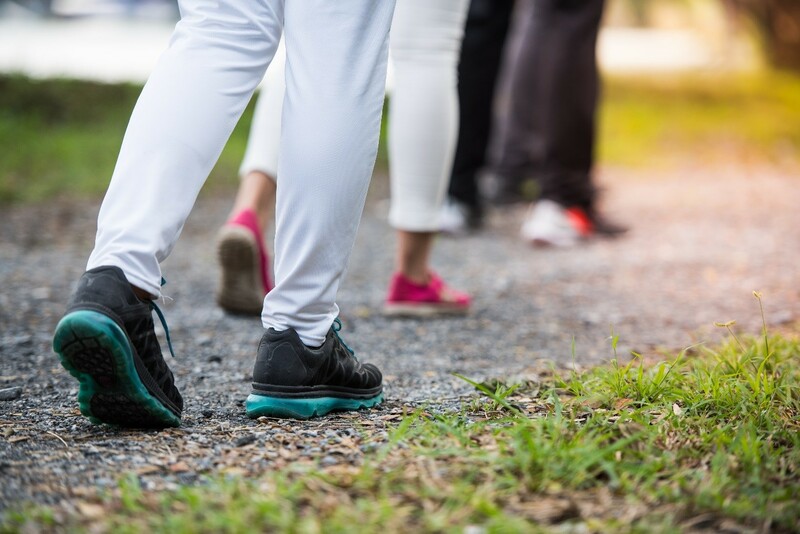 Get outside and go for a walk –exercise doesn’t always just mean going to the gym or running. Going for a brisk walk counts too! Did you know, walking in nature can put our minds at ease and increase meditation?5 If you live in the countryside, you can easily go for walks in nature; and if you live in the city, there are plenty of beautiful parks and gardens around to explore. There are so many benefits to our health from exercising regularly, and so many different ways in which we can do it. What started off as a Mother’s Day walk, could turn into a regular activity that you do together in the future! After the workout is done, there will still be plenty of time to relax and enjoy some scones and a nice cuppa tea. We all know that afternoon tea is a must on Mother’s Day… or any day! 5Aspinall et al. (2015) The urban brain : analysing outdoor physical activity with mobile EEG. Br J Sports Med, 49:272–276.